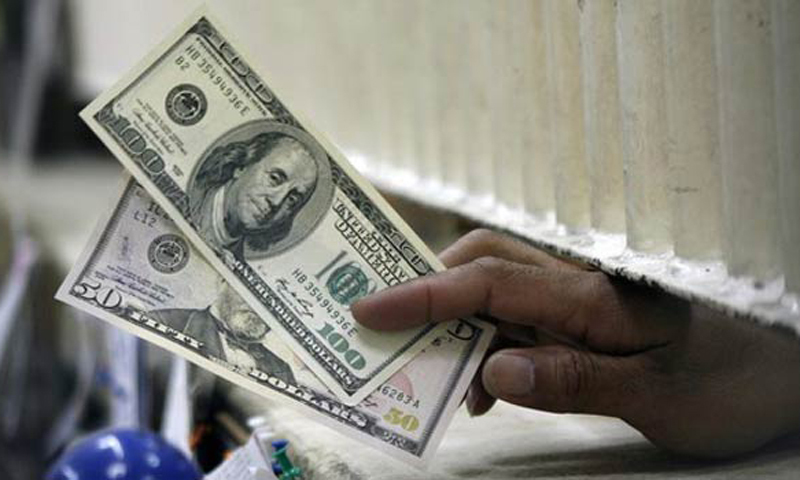 KARACHI: The rupee continued to appreciate on Tuesday as the value of the US dollar fell to below Rs100. According to the forex.pk website, the open market rates for the greenback were Rs99.90 in buying and Rs100.45 in selling. However, the inter-bank rates dropped further to Rs99.50 in buying and Rs99.70 in selling. The ongoing trend in the open market suggests that the value of the rupee has fallen by 0.99 per cent from Monday, and dropped by 5.64 per cent since January. The current trend in the inter-bank trading showed a drop of 2.64 per cent from yesterday, and a 5.23 per cent fall from last month. The yearly difference in both the open market and the inter-bank trends is a rise of 1.01 per cent and 1.73 per cent respectively. Tuesday's depreciation caused exporters and foreign currency account holders to further sell their dollars to avoid losses. Experts say that if the rupee stabilises to a certain extent, the prices of food items would decrease. Finance Minister Ishaq Dar, in December 2013, had vowed to depreciate the greenback to below Rs100. He also urged investors to encash their dollars in order to avoid losses. Inter-bank dealers predicted the previous day that the rupee would continue to appreciate further on Tuesday while the dollar would fall to around the Rs100-level.